It’s been tough to keep track of all the allegations, counter-allegations, denials, revelations, leaks, and tweets surrounding the connections between Russia, the 2016 election, and President Donald Trump’s administration. Here’s a quick guide to what we know (and what we don’t). So, did Russia interfere in the 2016 election? 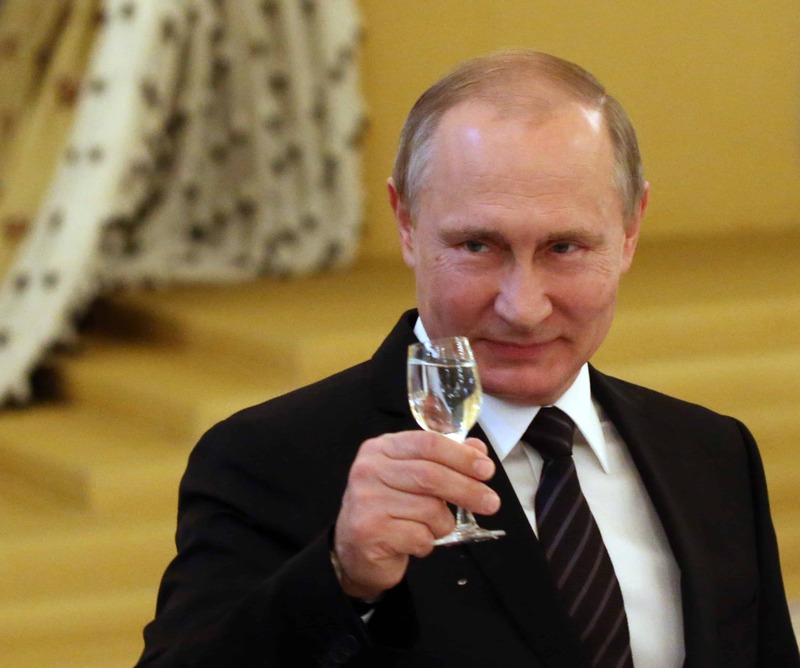 Yes, according to several American intelligence agencies, which have concluded that Russian President Vladimir Putin attempted to influence the election through a campaign of hacking, leaks, and propaganda designed to damage Hillary Clinton and boost Donald Trump. U.S. officials knew about Russia’s efforts as early as August 2016 but said nothing publicly until October, a month before Election Day. Three main inquiries — in the House, the Senate, and through special counsel Robert Mueller — are trying to determine the extent of Russia’s interference and its impact, as well as whether members of Trump’s campaign colluded in the attacks. As far as we know, Trump himself is not under investigation for collusion, but he is being investigated for obstruction of justice after he fired FBI Director James Comey allegedly because of his unhappiness with how Comey was pursuing the Russia probe. There’s a lot of news — what’s the latest? These interference efforts included hacking both the Democratic National Committee and the Republican National Committee servers— but leaking only the DNC’s stolen documents and 20,000 potentially damaging emails. Those emails were published as a searchable database on WikiLeaks, leading to the resignation of the DNC chair and, if you side with Clinton, damaging her reputation in key swing states. Sign up for a weekly newsletter about President Donald Trump to be delivered to your inbox every Friday. Russia also criticized Clinton through its government-sponsored TV network and paid trolls to spread “fake news” on social media — which has now become a major part of the investigations. Ahead of testimony in Congress this fall, Facebook revealed 80,000 posts — stories, status updates and other content — created by Russian-government backed trolls appeared in the news feeds of 29 million people between January 2015 and August 2017. Those people then liked or shared the content so that 126 million U.S. Facebook users total may have seen the content. Google also revealed that Russians spent thousands of dollars on ads on its platforms — including YouTube — to influence the election. Twitter estimates that more than 36,700 accounts on its platform may be associated with Russia, generating around 288 million impressions between Sept. 1, 2016 and Nov. 15, 2016. Microsoft is investigating whether similar behavior happened on its Bing search engine. The Russian government also appears to have attempted to compromise U.S. voting systems directly. Russian officials have repeatedly denied these allegations. The Obama administration knew about the interference in August 2016 but was reportedly concerned that announcing it publicly could further incite Russia and damage the electoral process. Obama confronted Putin in person in September, though the public didn’t hear about Russian meddling until a joint intelligence agencies statement in October. At least one former administration official now says not acting sooner to inform the public and push back against Russia was a catastrophic mistake. 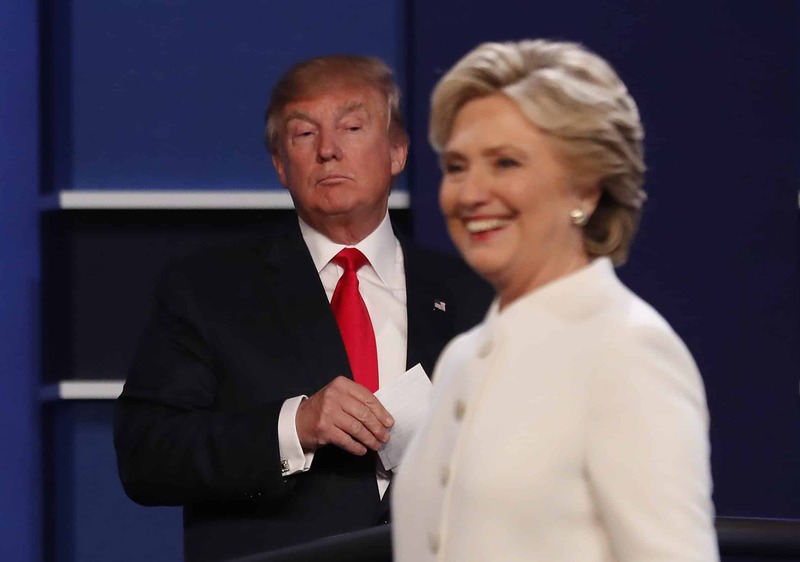 The January intelligence community report didn’t say for sure why Russia messed with the U.S. election, but it suggested that Putin sought to form an alliance with a Trump administration — an alliance that would have been impossible with Clinton given her strong criticism of Putin. U.S. spies reportedly discovered in summer 2016 that Russian officials wanted to get to Trump through his advisers, and for months investigators and the media have probed the connections — both disclosed and undisclosed — between numerous Trump affiliates and Moscow. It’s not clear how (or whether) this all adds up, but investigators looking for wrongdoing have opened inquiries into the following people. Trump’s original choice for national security adviser had multiple undisclosed contacts with former Russian ambassador Sergei Kislyak before Trump’s inauguration and then had to resign 24 days into his tenure because the administration found out Flynn had lied about it. He also allegedly misled the Pentagon about ties to Russia when renewing a security clearance. Sally Yates, the acting attorney general when Trump took office, said she had warned White House officials about Flynn, but Trump waited 18 more days before firing him. Flynn was paid $45,000 for a 2015 speech at an event in Moscow, where he was seated next Putin, among other paid engagements for Russian businesses. 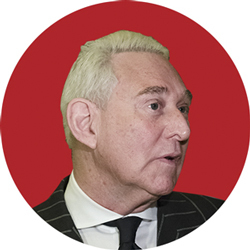 He remains a primary figure in the various investigations into alleged collusion and improper contact with Russian officials. 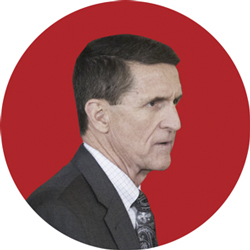 And while still part of the administration, Flynn reportedly pushed a plan to establish dozens of nuclear reactors across the Middle East — and failed to mention he was paid $25,000 by the backers of the scheme, some of which may have been Russian companies. Flynn is now cooperating with FBI investigators. His son, Michael G. Flynn, is also reportedly being investigated as part of the Russia probe. Trump’s onetime campaign manager was forced to step down in August 2016 after mounting pressure related to reports of his lobbying work for Russian and Ukrainian oligarchs who supported Putin. Business records obtained by the Associated Press later revealed that Manafort’s work on behalf of Putin’s interests goes as far back as 2005. At the end of June, he retroactively registered as a foreign agent for millions of dollars of work his consulting firm did for a pro-Russian political party in Ukraine. But in June 2016 he attended an infamous meeting with Donald Trump Jr. and a Russian lawyer at Trump Tower. 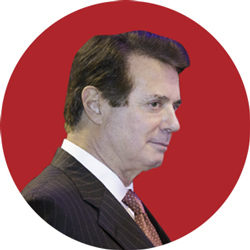 On Oct. 30, Manafort, surrendered himself to the FBI and pleaded not guilty to charges of laundering over $18 million dollars, which he earned as an unregistered agent of former Ukrainian president Viktor Yanukovych and his Party of Regions. Manafort is accused of failing to declare the money when he purchased — and remortaged — high-end real estate in New York, as well as spending millions on clothes and antique rugs. Manafort’s long-time business partner Rick Gates and former Trump campaign official George Papadopoulos were also charged as part of Mueller’s investigation. The FBI got a warrant to monitor Page’s communications in 2016, suspecting he was working on behalf of Russia. 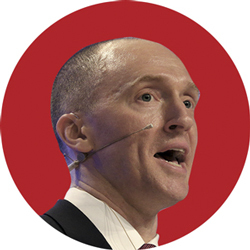 Page has admitted he met with and passed documents to a Russian agent in 2013, although he claims those documents were publicly available. Page told the Senate Intelligence Committee that he would plead the fifth in order to keep from turning over a “vast array” of documents the committee requested, which he told CNN are “beyond the charter” of the inquiry. Page has offered to testify publicly on Nov. 1 at the committee’s open hearing on Russian efforts to influence the election through social media. 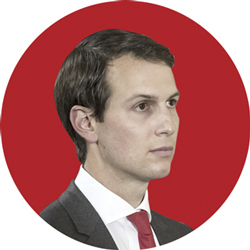 Trump’s son-in-law and top adviser reportedly had three separate undisclosed contacts with the Russian ambassador during Trump’s campaign and omitted meetings he’d had with Russian officials on his application for a security clearance. He has since reportedly updated his disclosure form several times to include more than 100 names on a list of foreign contacts. Some of Trump’s lawyers reportedly decided in June that they wanted Kushner out of the White House, going so far as to draft a statement explaining his hypothetical resignation. Congressional and DOJ probes are reportedly focusing on whether Kushner told the Kremlin which voting jurisdictions to target in its fake news blitz against Clinton. Kushner made a request in December, before Trump took office, for a “secret and secure” way to communicate with the Kremlin. Despite remaining under this scrutiny, he still has access to the nation’s secrets. Sessions met with the Russians (at least twice, and maybe a third time) while advising the Trump campaign and later withheld that information from Congress while under oath. He later testified that he never had a conversation with any Russian official about the campaign. Sessions recently told Sean Hannity that the media has made “perfectly normal” actions look nefarious. 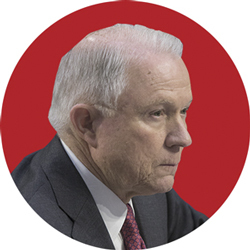 Sessions is one of Trump’s closest allies, and his recusal from the Russia investigation has reportedly made Trump very, very angry — with that anger now giving way to simmering resentment. Three more Trump affiliates have also come under investigators’ scrutiny: his personal lawyer Michael Cohen, his longtime bodyguard Keith Schiller, and short-lived White House press officer Boris Epshteyn. And Donald Trump Jr., the president’s eldest son, offered to talk to congressional investigators after reports surfaced about a meeting he had with a Kremlin-connected lawyer with information about Clinton. Emails leaked to CNN of a conversation between Goldstone and the Russian lawyer, Natalia Veselnitskaya, suggest the meeting wasn’t about dirt on Clinton but was about U.S. sanctions. Kushner and Manafort were among six other people also present at the meeting. Trump Jr. has brushed off criticism and changed his story multiple times on the substance of the meeting. The Washington Post reported that the president drafted Trump Jr.’s misleading statement responding to the allegations about the meeting — something Mueller and his team are reportedly very interested in. Like his staff and advisers, Trump has experience dealing with the Russians. His family businesses have been linked to at least 10 former Soviet businessmen with alleged ties to organized crime, and Trump hasn’t helped his case by showing a curious personal affinity for Putin. And there was that time during the campaign when he publicly called on Russia to hack Hillary Clinton to expose more of her emails. The media went nuts when an unverified dossier surfaced in January claiming Russia had compromising materials about Trump and had colluded with his campaign — and Mueller is now reportedly investigating its contents. Trump promised a “full report” on Russian hacking, but the deadline passed in April with no report‚ and still none to date. 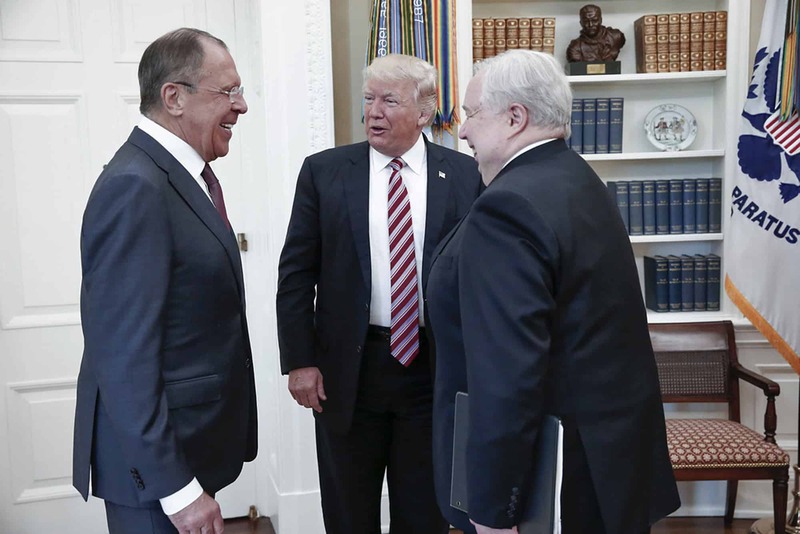 Although Trump denies having any prior relationship with Kislyak, he held an Oval Office meeting in March with the former Russian ambassador and Russia’s foreign minister, Sergey Lavrov, to discuss the Syrian war and global antiterrorism efforts. In the meeting, Trump leaked sensitive intelligence, reportedly from Israel, that he wasn’t supposed to share, then insisted he had the “absolute right” to do so. Trump has called allegations that his campaign colluded with Russia a “hoax” and “fake news” and has flip-flopped on whether he believes Russia attempted to influence the election at all. Ahead of the G-20 summit in July and at a face-to-face meeting with Putin, Trump said Russia may have interfered in the U.S. election, though “other countries,” which he didn’t specify, could have been involved as well. The man originally leading the House investigation, Rep. Devin Nunes, a California Republican, said he saw no evidence of collusion. But Nunes had to step aside from the investigation in April after facing ethics complaints for abruptly cancelling several important hearings after having a secret late-night meeting with a White House aide. Trump fired Comey, who, as the head of the FBI was leading his agency’s arm of the Russia probe, on May 9. Trump’s explanation for why he fired Comey has changed several times since. First, it was Comey’s handling of an earlier investigation into Hillary Clinton’s use of a private email server. Then, Trump reportedly told Russian officials that Comey was a “nut job” and that firing him relieved investigative pressure on Trump. And he told NBC’s Lester Holt that he had the “Russia thing” in mind when he decided to fire Comey. That led to accusations that Trump improperly tried to influence the investigation and may even have obstructed justice. 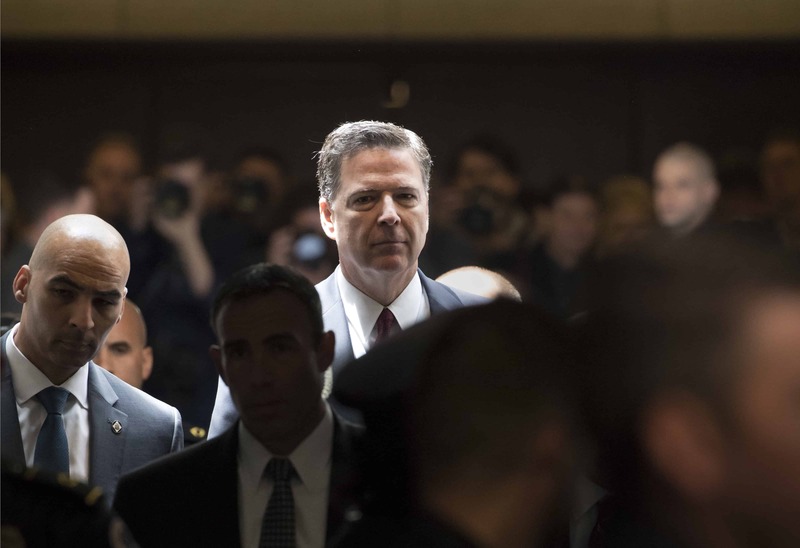 Comey testified in June that Trump pressed him for a loyalty pledge and said he “hoped” that the FBI director would “let this go” — this being the investigation of Michael Flynn — a wish Comey said he took as a directive. Comey considered this behavior improper and said he believes his refusal to comply is why Trump fired him. Comey said Trump seemed more concerned with clearing his own name than discovering the truth about Russian influence over the election. To that end, Trump also reportedly asked the director of national intelligence and the head of the NSA to publicly deny any collusion between the Trump team and Russia (both men so far refuse to discuss the allegations) and reportedly asked the CIA director to get involved in the investigation. After sustained backlash to Comey’s firing and mounting pressure from the public, Rosenstein appointed special counsel Robert Mueller to spearhead both the investigation of Russian election interference and Russia’s relationship to the Trump administration. Mueller, a former FBI director himself, is also reportedly investigating Trump for obstruction of justice. Putin says “patriotic” Russian hackers may have meddled in the U.S. election, but not at his direction. He has also offered his assistance to clear Trump of allegations he shared classified information with the Russian ambassador and foreign minister and joked that Russia is ready to offer political asylum to Comey. Congressional and DOJ officials decided in June to continue to proceed separately with their probes. In May, Rosenstein told the Senate the inquiry had moved beyond counterintelligence to a criminal investigation. And a report in mid-July said the investigation was now encompassing Trump’s business dealings as well as those of his associates. This article was last updated Oct. 11, 2017. We’ll add new information here as it emerges.